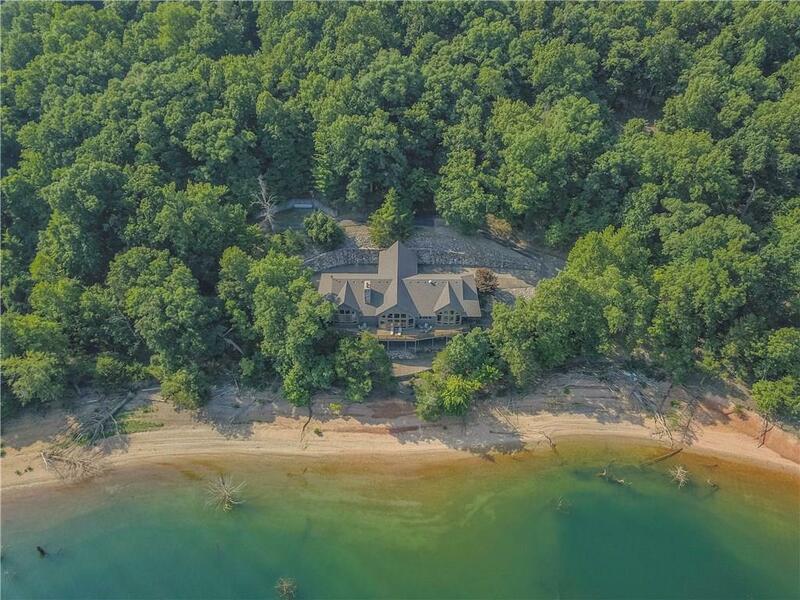 Magnificent lakefront custom home ideally situated on 10.01 acres on Beaver Lake, offering expansive lake views from almost every room. Interior has tasteful mix of modern amenities and rustic charm creating a warm environment for every season. Open floor plan, gourmet kitchen, plantation shutters, hand carved beams and much more! Expansive decks ideal for entertaining or just enjoying lake living. Easy walk to the water and to your 3 slip boat dock with lift and swim deck. Tri-toon boat to convey.